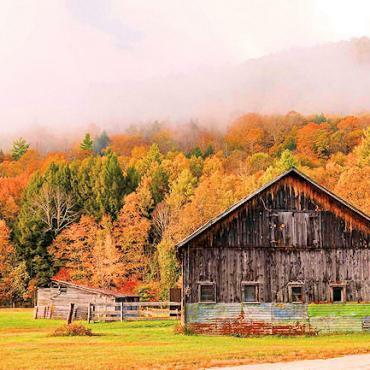 Autumn paints New England landscapes with bold, Impressionist colours that surprise, delight, energise and mesmerise, and awaken the visionary in you. 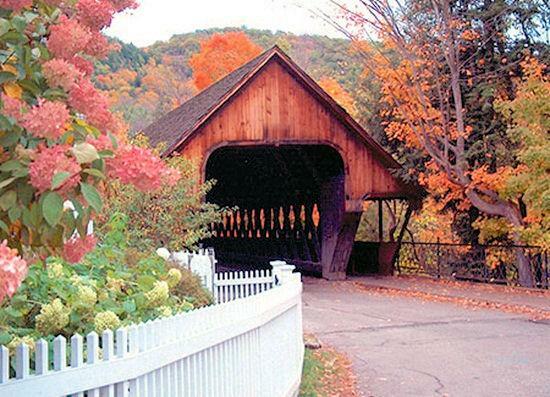 But this excursion through Grand New England offers more than the visual excitement of a fall foliage tour. 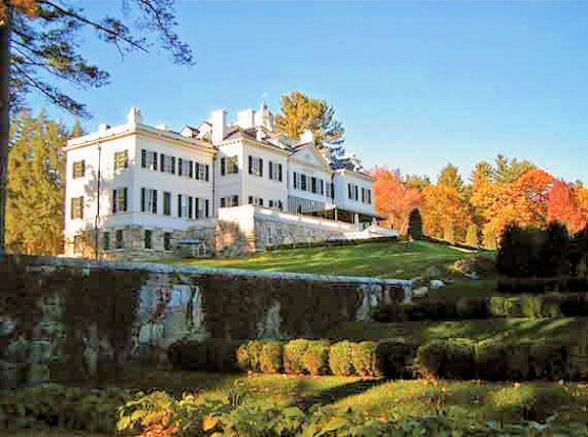 See American history in a new light in places where it was made, then re-made by poets, painters and icon-makers the Revolutionary heart of Concord, the Berkshire retreats of Daniel Chester French (the sculptor who made the Lincoln Memorial), Norman Rockwell and Edith Wharton, and the Gilded Age mountain resort at Bretton Woods. Travel through lush forests and fertile fields sweet with fragrant air, rich in tradition and brimming with antique charm. 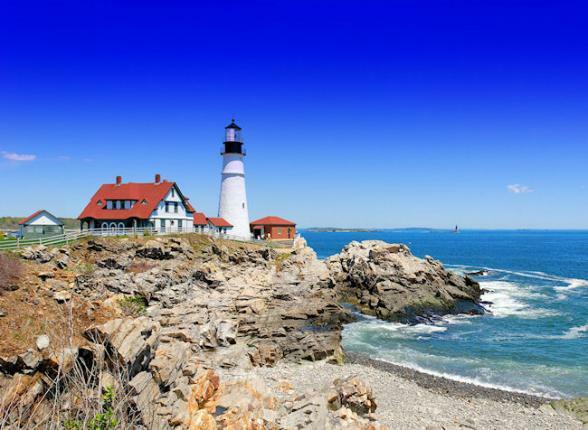 Search out the elusive soul of New England from Boston to Bar Harbor, from fishing boats to the summit of Mount Washington and the wilderness of Acadia National Park in the taste of fresh lobster and maple syrup, and in the dazzled eye of the beholder. Tour begins: The Langham, Boston at 5:30 PM. 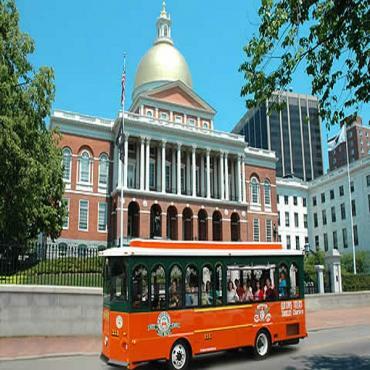 A transfer is included from Logan International Airport to The Langham, Boston, a historic luxury hotel (and former Federal Reserve Bank) in the heart of the financial district, in easy reach of Freedom Trail, Faneuil Hall, the North End, the harbor waterfront, and many of downtown’s most exclusive shops and restaurants. 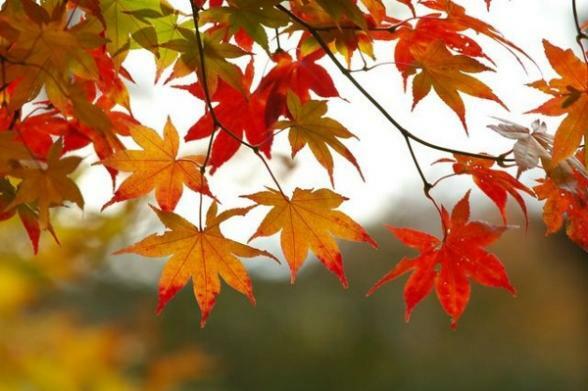 Join us at the hotel this evening for a welcome reception and dinner; the dazzling reds, golds and oranges that accent Boston’s cityscape are a colorful prelude to your fall foliage tour. 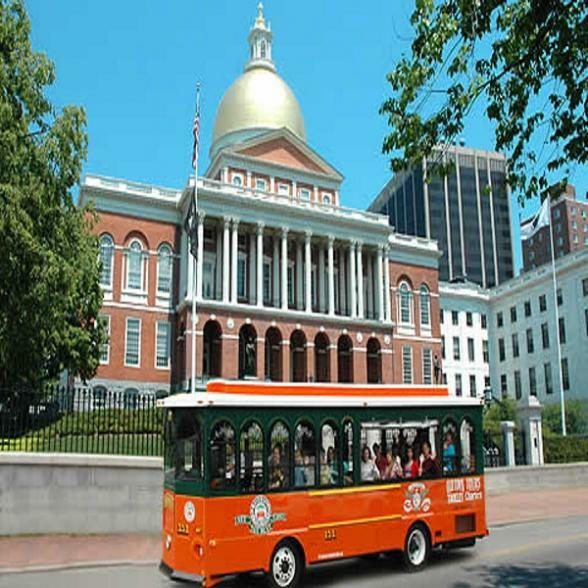 History is alive and around every corner of the exciting city of Boston on an orientation tour this morning that includes Boston Common, Beacon Hill with its elegant townhouses and narrow cobblestone streets, the ethnic flavors of the North End and a visit to the USS Constitution Museum. 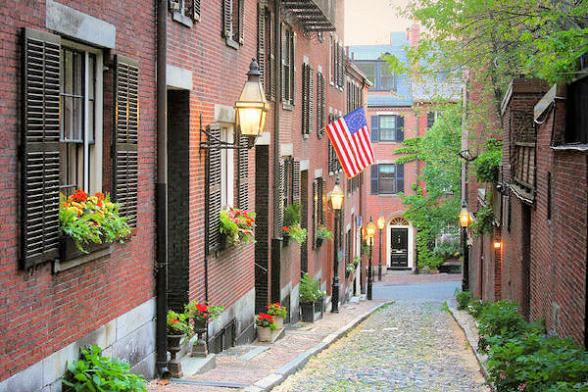 Walk back in time in the footsteps of literary giants, artists, and visionaries who inspired and shaped America in its infancy. Later, explore on your own this city teeming with historic treasures and hip modern pleasures, where the venerable past is always present. 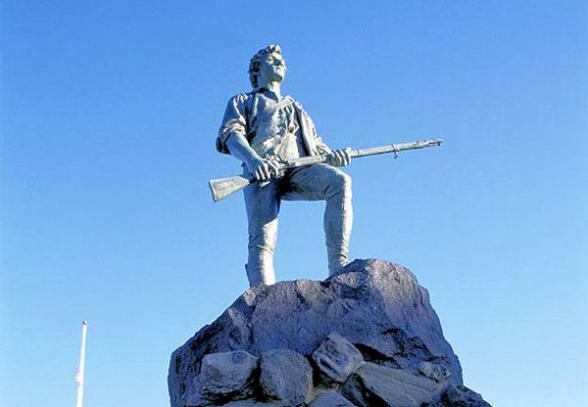 The shot heard ‘round the world still resonates at tranquil Lexington Green, where British troops and American militiamen had their first bloody encounter in 1775; experience the place where the world turned upside down. 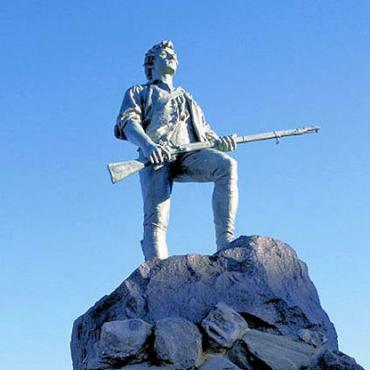 Stand at the site of the rude bridge in Concord, where British and colonials fought a pitched battle immortalized in Emerson’s hymn and where the iconic Minuteman sculpted by Daniel Chester French stands on a pedestal with musket in hand, stepping forward into history quiet settings charged with emotion and poetry. Next, head west for lunch at the Salem Cross Inn, an impeccably restored colonial home built in 1705; the menu features traditional New England cuisine. 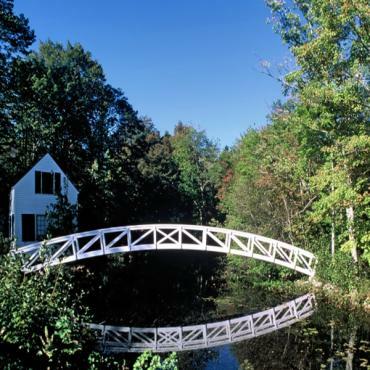 Stop in historic Deerfield en route through luminous landscapes to The Orchards Hotel in Williamstown. 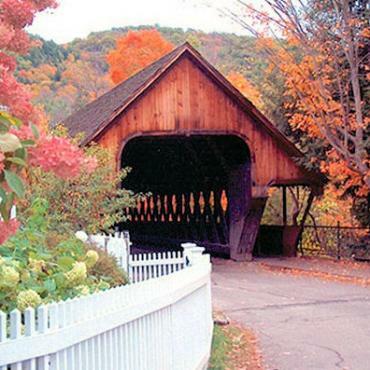 The Berkshires glow with autumn colours on a fall foliage tour that shows you why this area has long been a retreat for artists and writers. Encounter a Stockbridge resident and prolific maker of iconic images at the Norman Rockwell Museum, dedicated to the beloved illustrator whose hundreds of covers for the Saturday Evening Post depicting scenes from small-town America illuminated the lives of ordinary people with humor and pathos. 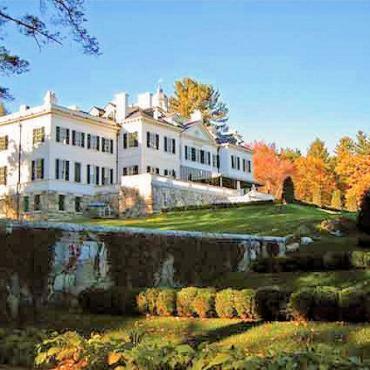 A short drive to Lenox brings you to The Mount, the hilltop Georgian mansion of Edith Wharton, which the celebrated author of The House of Mirth and The Age of Innocence called her first real home. The house and gardens were built to her own meticulous designs in 1902, and reflect the taste and personality of the author. Edith Wharton was also a consummate entertainer – you’ll feel like one of her guests at a private lunch overlooking her bucolic grounds. Spend the remainder of the day as you please in Williamstown. 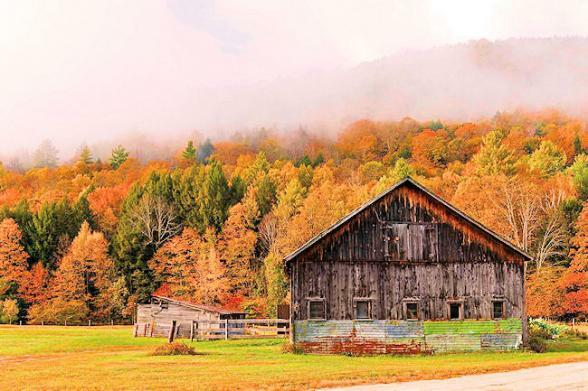 Depart for Vermont, where your fall foliage tour includes sites rich with Americana. A towering stone obelisk in Bennington commemorates a little-known battle in 1777 that led to the British surrender at Saratoga, a turning point in the War for Independence. Arrive in Shelburne for a visit to the Shelburne Museum of Art and Americana. Spread over 45 acres, this unique museum holds a vast collection of prints, paintings, folk art and quilts reflecting 19th-century American life, in historic buildings – including barns, a meeting house, a jail, a lighthouse, and a railroad station – in a village-like setting around the Ticonderoga, a 220-ft. steamboat that once ferried passengers and livestock on Lake Champlain. 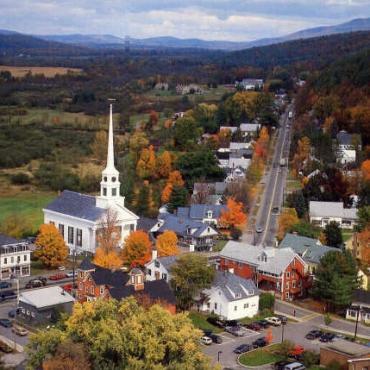 Today’s final destination is Stowe, a classic New England town tucked away in the Green Mountains, for an overnight at a resort in the foothills of Mount Mansfield. 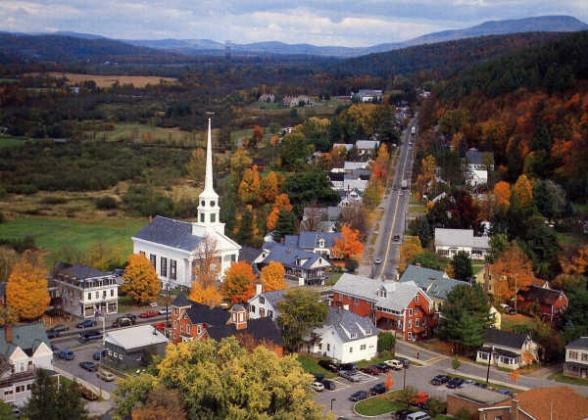 Head for the White Mountains via the state capital, Montpelier, and the elegant gold-domed State House. 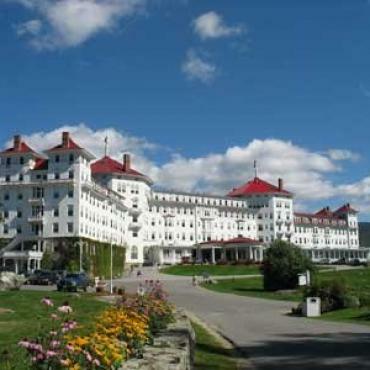 This afternoon, arrive in Bretton Woods for a two-night stay at the historic Omni Mount Washington Resort, one of the last grand hotel resorts in New England. 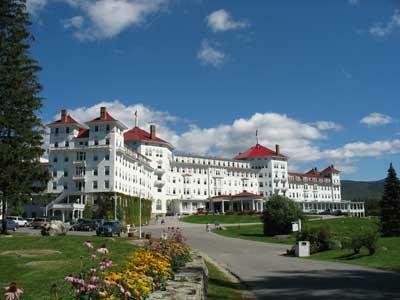 Since its opening in 1902, this palatial hotel has been a magnet for presidents, robber barons and celebrities; Babe Ruth and Thomas Edison loved to golf here; in 1944, the World Bank was established in the Gold Room; the stunning mountain landscapes outside glow with the same colour. The harshest winter weather on the planet can be found at the summit of Mount Washington, where a wind speed of 231 mph was once recorded in 1932, and the stone houses are anchored to the ground with chains. But at this time of year, you’ll meet only temperate temperatures and magnificent views, as well as the scientists at the meteorological observatory who will brief you on their work in this unique environment. 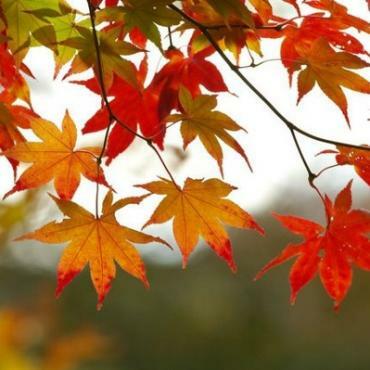 It’s a day for indulging in the colourful quintessence of a fall foliage tour as you wind down New England back roads to North Conway, at the edge of the White Mountain National Forest, for lunch and a presentation on the local ecology and wildlife, then return to your luxury resort at Bretton Woods. 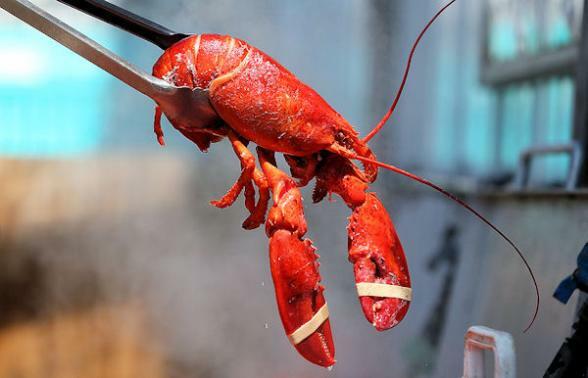 Arrive this morning in Portland, Maine where a local lobsterman takes you out into the harbor aboard his working boat for an authentic, hands-on experience in the lobstering trade. 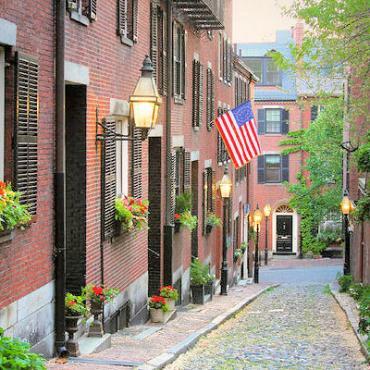 Back on land, a guided tour introduces you to the historic Old Port area along the waterfront, rich with restored 19th-century architecture and cobblestone streets. 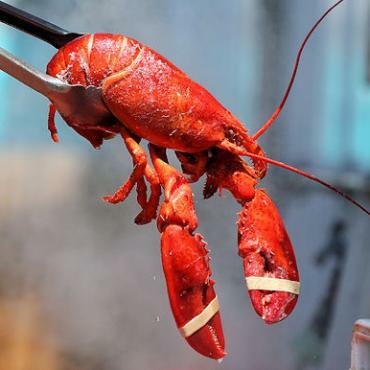 Enjoy time to explore on your own and settle in at your hotel before joining us for dinner tonight at a Bailey Island lobster house overlooking Casco Bay, a favourite of local residents. 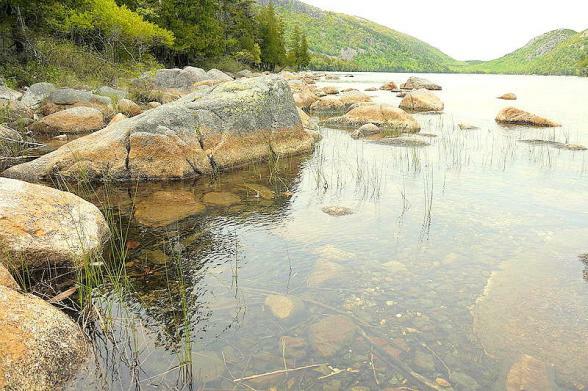 Further up the rugged Maine coast, discover the legendary town of Bar Harbour on Mount Desert Island. 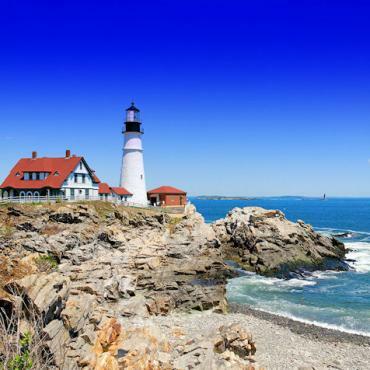 Cruise the working harbor of Frenchman Bay aboard a traditional wooden schooner, experiencing the picturesque coves, islands, lighthouses, and seaside cottages with the romance of a windjammer under sail. Disembark and head back to your luxury cliffside inn featuring lush gardens and panoramic waterfront views. Luminist painters like Thomas Cole and Fitz Hugh Lane were among the first to document the awesome beauty of Bar Harbor, attracting Gilded Age high society who created an exclusive summer resort community to rival Newport. Discover exquisite examples of Victorian architecture that adorn the area en route to exploring the natural wonders of nearby Acadia National Park (colour-drenched in autumn, the highlight of any fall foliage tour). 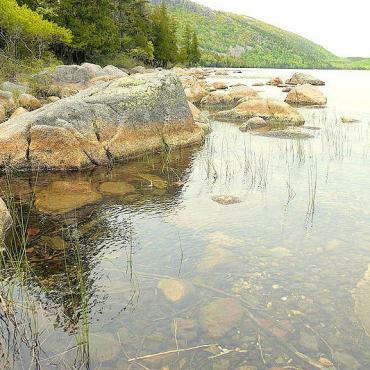 You’ll love today, from the coves, pristine forests, beaches, plunging cliffs and rocky islands to the stunning view from the summit of Cadillac Mountain. Return to your hotel with time at leisure; soothe at the spa, or explore the town with its charming shops, galleries, and superb seafood restaurants. Or stand just about anywhere and admire the view. 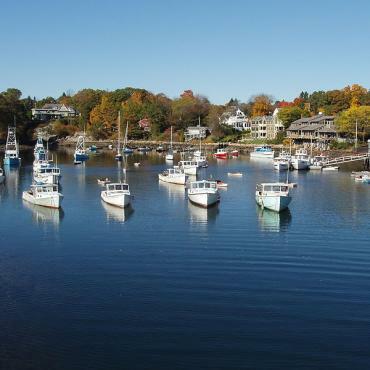 Journey southward (with a lunch stop at Camden on the way) to the coastal town of Ogunquit, whose name translates as “beautiful place by the sea.” This classic New England port of tranquil coves and beaches was once a fishing and shipbuilding centre, but now thrives on its picturesque beauty as a summer resort destination. 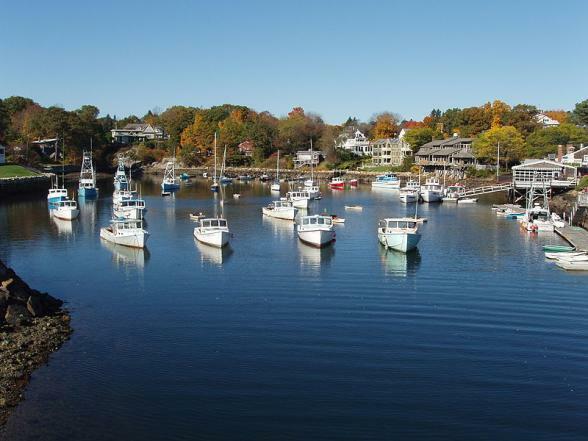 Settle in at Harraseeket Inn in Freeport, maine for an overnight stay. Join us this evening for a farewell reception and dinner. After breakfast, travel from The Cliff House Resort & Spa to Boston (approx. 80 miles). Tour ends: 11:30 AM at Logan International Airport, Boston or 12:30 PM at The Langham, Boston. Airport transfers are included. This is your last day of this escorted tour, however your adventure doesn't have to end here. Perhaps you may want to extend your stay and catch a train to New York city or maybe head to the sandy beaches of Florida? Call the travel specialists at Bon Voyage to discuss your ideal Grand New England tour.